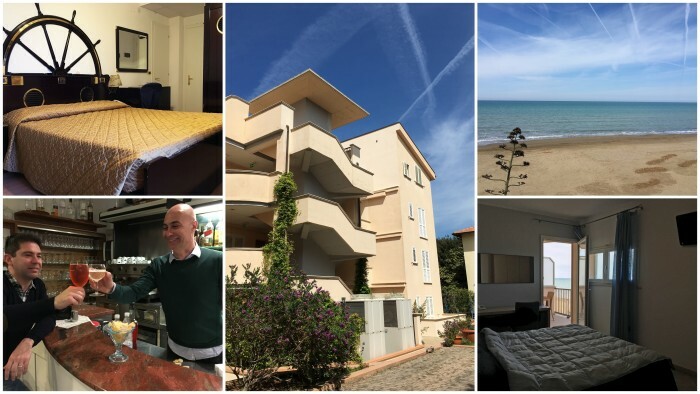 If you look at the town of San Vincenzo on the coast of Tuscany on a warm summer’s day, the trendy shops and tanned patrons speak of the affluence of a town blessed by nature that has done a good job of taking care of itself and of attracting tourism. It’s hard to imagine that less than a hundred years ago, the place was dirt poor. It was a fishing town that didn’t even make much of its own fish. But things changed, between the wars, and San Vincenzo had a moment of fame based on small “oily” fish. 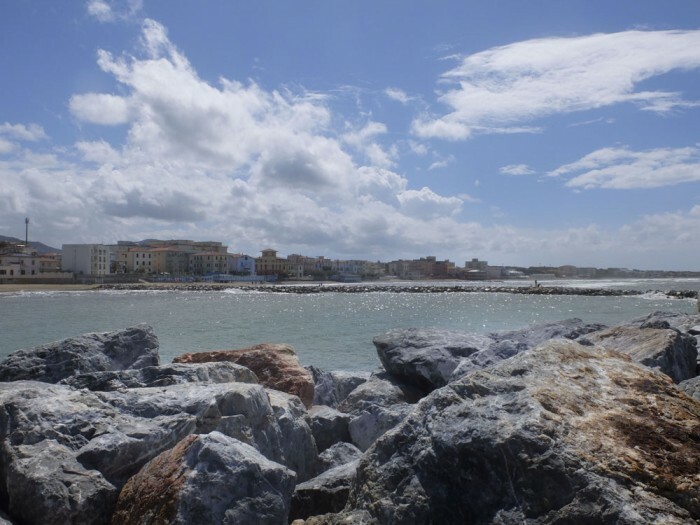 Betting mostly on tourism through the second half of the 20th century, fish is making a comeback once more in San Vincenzo, setting the town apart from those that dot the Etruscan Coast as a gastronomic destination, not just for its annual Palamita festival, but year-round. On a recent weekend in San Vincenzo for its main food event, Un Mare di Gusto: Palamita and Friends (held the first weekend of May each year), I had a chance to not only sample palamita (bonito in English), but to dip a little deeper into the role of fishing in this town. 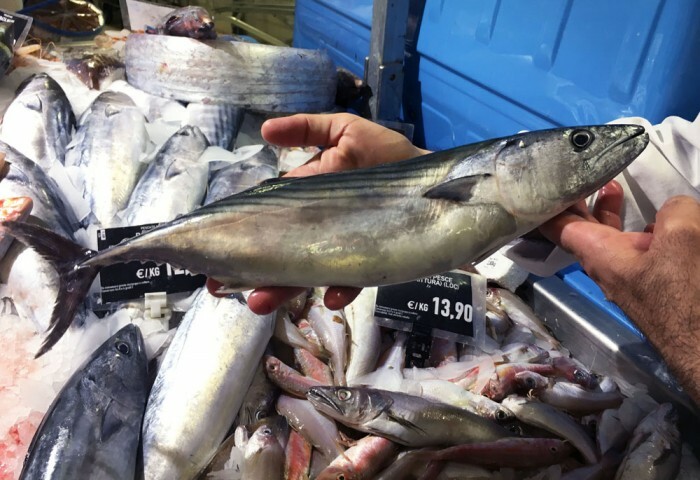 Palamita is categorized as a “pesce azzurro”, which in English is not “blue fish” but the less appealing “oily fish”, and it’s in the tunnidi family that also includes sardines, anchovies and sgombro. I automatically assumed it was small, but actually it’s closer to a tuna, though it doesn’t grow that large, only up to 2-3 kilos. I also assumed it was mainly served fried, but wrong again – the San Vincentini seem to serve it up every which way! Palamita (a much nicer word than bonito) is a really healthy fish, full of Omega 3s, Vitamin E and B, and it has the full complement of eight amino acids. It’s fished sustainably, with no worry of running low on stock: it’s line fished, often without bait, with a method not surprisingly called “palamito”. It’s the kind of fish you ought to be eating every week. But if you’ve never heard of it, don’t be surprised. It’s not often found on menus beyond San Vincenzo, although the local Coop Tirreno is working on making it available a little further inland. Palamita is this town’s official fish, a “pesce povero” or poor-man’s food, adopted, dressed up and made popular by decision of the local council back in 2000. But if the town has decided to promote oily fish, it’s not just a modern invention, it’s something that links to its past and helps promote its heritage. Maurizio dell’Agnello is a journalist and editor of the magazine Il Pesce, dedicated – you got it – to fish and fishing. 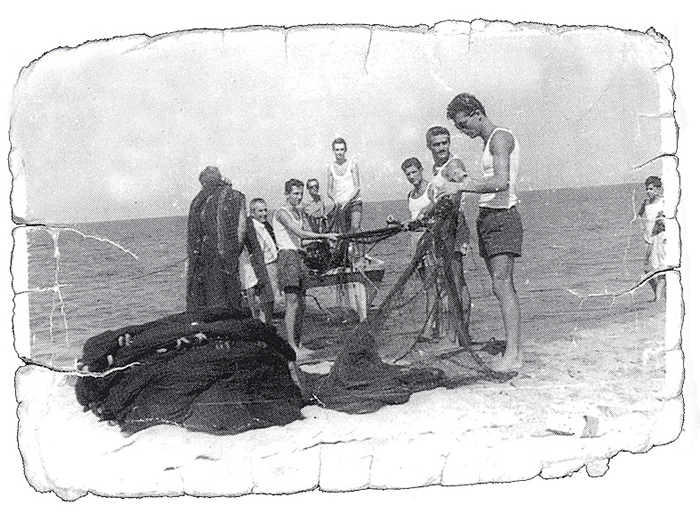 He and Rodolfo Tagliaferri, who heads up the local photography club, have been doing some interesting research on the one moment in history in which San Vincenzo had a booming fishing industry. You’d think that a fishing town would have always had such a thing, but no: the minerals always present down this coast attracted industry, and many worked at factories. Although fishing was practiced on a large scale in this gulf of the Mediterranean since Etruscan times – leaving tangible evidence in a mosaic you can see at Populonia that shows many kinds of fish – heading into the 19th and 20th century, local fishermen tended to use inland pools. 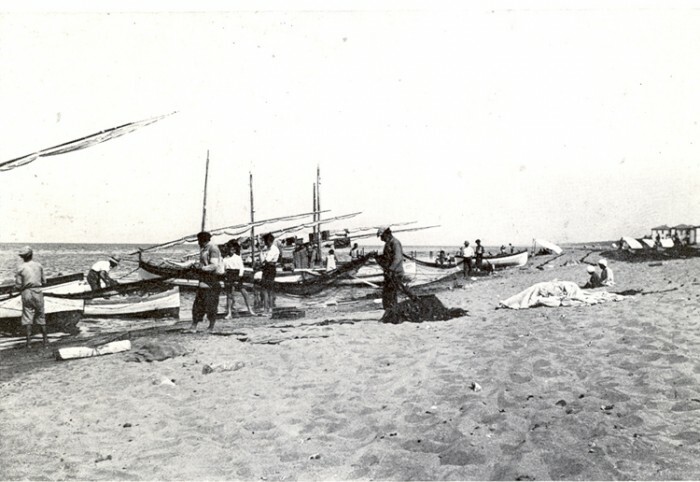 It took an outside influence, that of the Genovese who came down from the north, to teach them to get out on ships in their own sea and take fish in large numbers. From May to October, these seas yield a lot of sardines and anchovies. When locals started using these techniques in the 1920s, they started bringing in so many that they could barely sell them off. 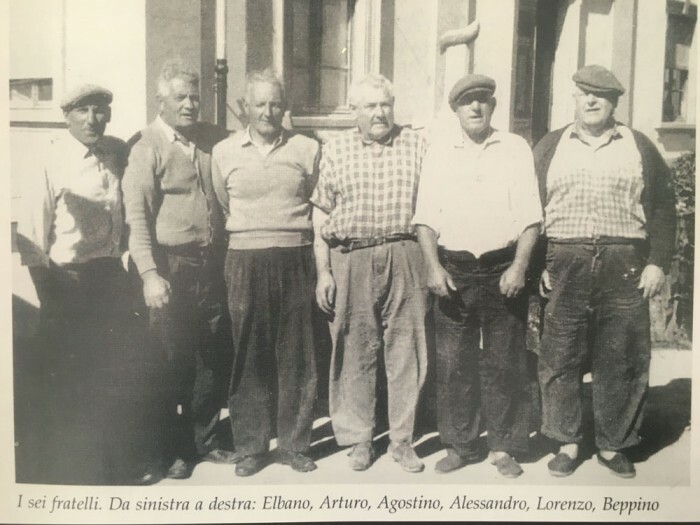 One of the fishing families in this period, the Federici, included six lovely brothers (see photo) who brought in so much fish, they became one of the main suppliers for an industry begun by the town’s patron, Count Gaddo della Gherardesca, who applied a method of preservation learned from others abroad. From 1925 to 1929, this company made preserved sardines and anchovies in tins, with the oddity that they were first fried, then preserved under oil! This took place in Donoratico (5km away and then called Bambola) in a building that came to be nicknamed the Friggera. When they moved the business to a larger location in San Vincenzo, it had a much fancier name but everyone still called it the Friggera, even when they stopped frying the fish and just preserved it in oil. Under the much appreciated label of “Dantes” sardines – a play on the name of a competitor from the French Riviera named Nantes – these little fish were popular everywhere in Italy, and in particular, they fed the army. The major supply sent to the army was probably the reason the factory was bombed by the Allies during the war, putting an end to almost two decades of fish-inspired prosperity in the town. 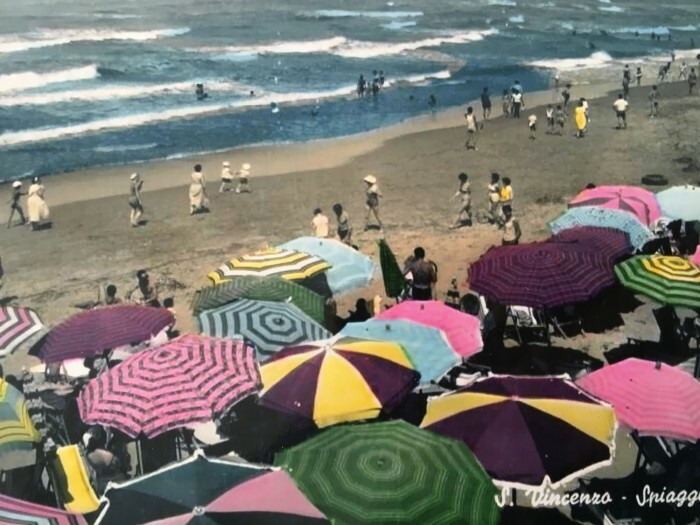 Workers turned to businesses like Rosignano Solvay which made sodium carbonate, the Count turned to boat-building, and in the post-war boom, San Vincenzo became a popular beach destination and summer colony location. The building that was the Friggera was rebuilt and used as a childrens’ summer camp, and it is now a hotel. Unquestionably a beautiful town for summer tourism, San Vincenzo has invested a lot to make sure it remains an attraction. It recently built a harbour (with plenty of super-yachts parked there) protected by a breaker that forms a pleasant path along which to walk, the Passeggiata del Marinaio. 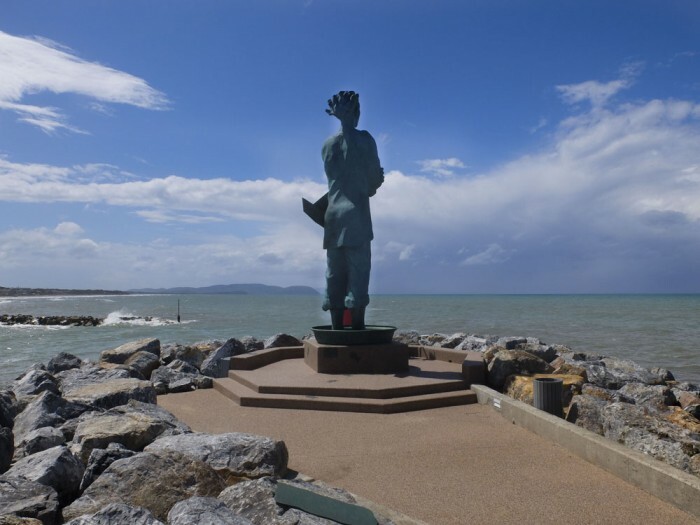 The path ends with a large bronze statue by local artist Giampaolo Talani, whose windswept gaze faces the libeccio wind, the south-west wind that is the toughest of them all, that sweeps away anything in its past. The artist told me that if you dare go out on that path during this wind (and don’t mind getting wet), it’s one of the most beautiful things in the world (but also dangerous – we’re not recommending it). 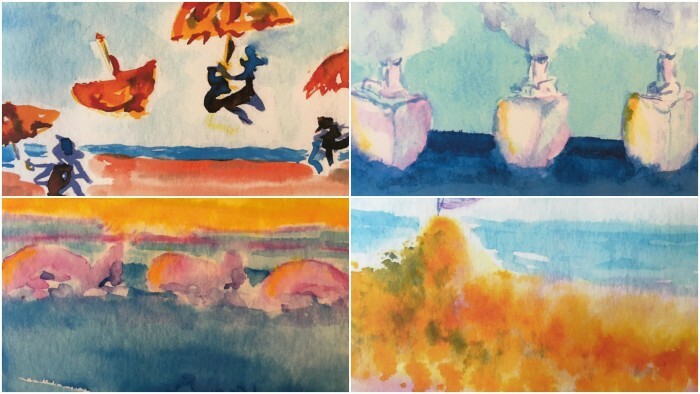 Other marine-themed art is planned for the city – at the recent festival they announced the winning project for some mosaics for the passeggiata. During the year, they make a major effort to promote local exhibits and involve the town’s active residents. 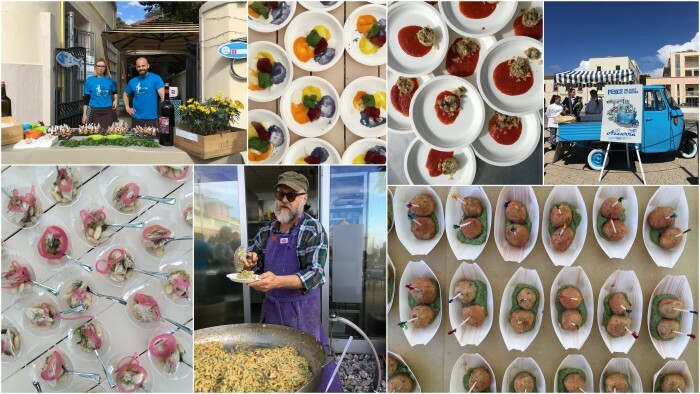 As for the fish festival, it’s a cute formula, with local restaurants participating by offering tasting points that dot the sea front and the town’s main drag. A €7 pass (and €3 wine pass) gets you seven tastings, which take place on the Sunday from the late afternoon onwards. Special dishes are available for other meals on that weekend, and in general there are lots of good options for fish lovers in town at all times. I plan on returning to San Vincenzo when the weather is right for swimming, since we discovered a charming family run hotel, Lo Scoglietto. We spent ages chatting with the owner, Mirko, whose family bought the property back in 1971 and who practically grew up with return-customers over the years. Our room faced right on to the beach, and the sound of the waves lulled us to sleep. With thanks to Chiara Brandi and Carlotta Ghelardi for the invitation to the Mare di Gusto event. For the historic photos thanks to Rodolfo Tagliaferri. Information on fishing from Rivista Il Pesce 03/2009 and 04/2013 provided to me by the author Maurizio Dell’Agnello.